There aren't many 7" singles of Turkish entries of the Eurovision Song Contest, and the ones I have are always made in other countries. This single of the 1980 entry, for instance, comes from France. The B-side also contains a French-language version of the song, probably to make it more interesting for the local record-buying audience. Ayse Ajda Pekkan was born on February 12, 1946 and has become one of the most successful female Turkish artists of all time, selling over 42 million records worldwide during a career that spans five decades. She started in 1962 and is still making records now. Her appearance in Eurovision in 1980 was perhaps not her finest moment: it caused a temporary break from music, a move to the USA, and when she moved back to Turkey she released two failed albums before becoming successful again in the mid-Eighties. 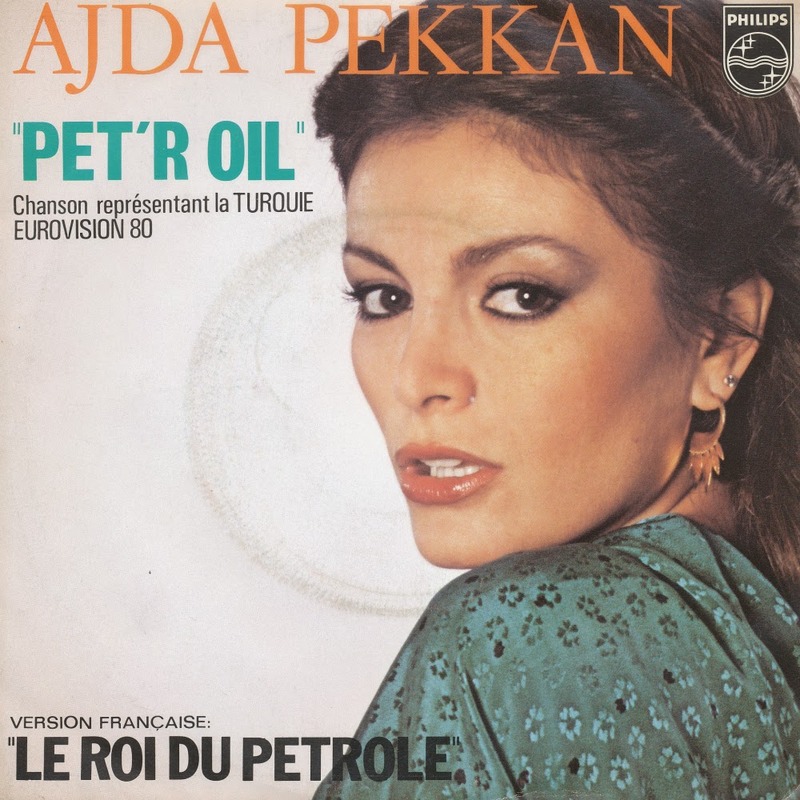 'Pet'r oil' was placed 15th in a field of 19 contestants.